The scriptures tell us that there is a time and season for everything, for each particular event. There is a time of preparing for Christmas, and that is Advent, and then there is a time for Christmas itself. There is no doubt in my mind that the more serious we are about our personal Advent journey, the greater the joy we shall reap during our Christmas celebration. It is a good practice to make concrete plans on how best to keep our Advent observance. Often, if no plans are made in advance, much of Advent goes unnoticed and wasted. Since Advent is basically a quiet time of waiting for the arrival of the Light at Christmas, it is good to start by trying to become more internally quiet during this rather brief season. Above all, we must make the most of these moments of stillness by remaining calm, silent, and spending quality time with the Lord. The words from one of the psalms counsel us: Be still, and know that I am God. Monks always strive to preserve a more quiet recollected spirit during these lovely Advent days and thus enjoy the Lord’s intimate company. There is no reason why others, in a monastery or elsewhere, could not do the same wherever they are. It is a question of resolving to do so and making the effort. The Holy Spirit will do the rest. Come, Holy Spirit. During these blessed Advent days, we, too, are called to imitate the Israelites by cultivating an attitude of strong hope, patiently waiting as they did, for the arrival of the expected Messiah. The reading and prayers in the liturgy, especially the psalms, encourage us to “relive” Israel’s eager waiting for the Savior, and to do this in peace and joyful expectation. From the depths of our being we pray for Emanuel to come be with us and to save us. Through our Christian faith we know that the Messiah, the Christ, has already come once and that he will come again, a second time, at the end of time. It is not a coincidence that today both pious Jews and fervent Christians are still awaiting his coming. Indeed we both have much in common. We are both waiting for the same Person! When he comes, his coming shall be a first time for the Jewish people and second time for the Christians. However, for both Jews and Christians, in fact for all people, this shall be his last and final coming. Thus is our Advent hope and why we find great consolation in our common waiting. Veni, Emmanuel!” Come, Emmanuel! The Psalm for today’s Mass has us singing: “Lord, make us turn to you; let us see your face and we shall be saved” (80). 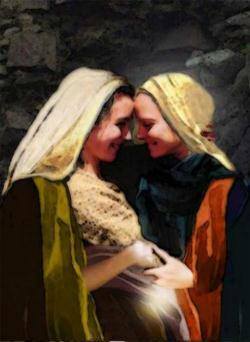 See in this verse what is happening between Mary and Elizabeth. 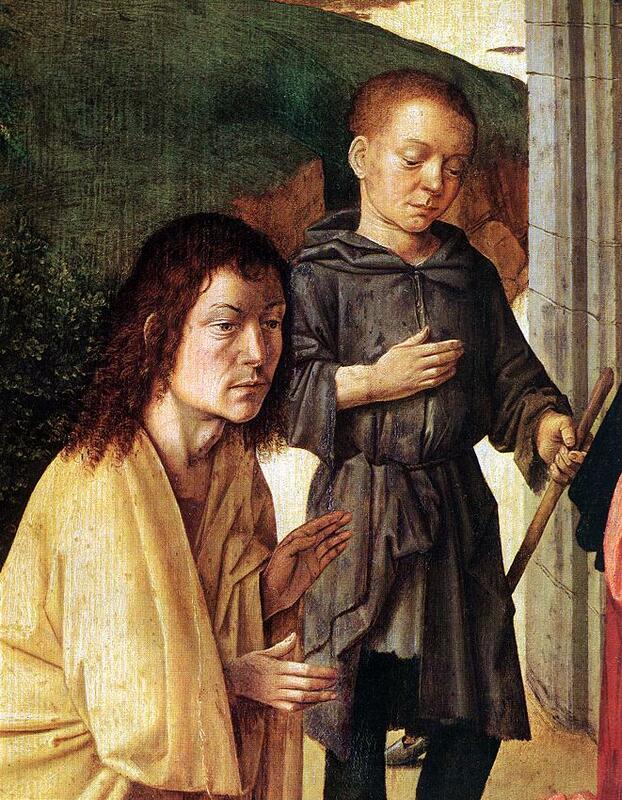 Think of the baby Jesus leaping for joy in the womb of Mary at meeting of his cousin John. Have you been able to help others to experience, i.e., to see and to hear the Good News of Jesus coming into history this week? Have we made a place for Christ in hearts today? Finally we arrive at the Fourth Sunday of Advent. The final Sunday is dedicated to the Motherhood of the Blessed Virgin. The opening prayer at Mass is the prayer used for Angelus. 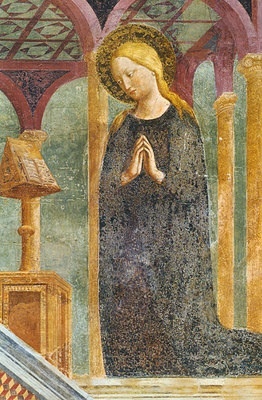 The Church, pointing to Mary points to the Savior.